John Cornyn is running ads in Texas claiming he wants to defund Obamacare, but he is selling out. Richard Burr is telling North Carolina he is in it to win the fight against Obamacare, but telling everyone who will listen that Ted Cruz’s strategy is the dumbest strategy every foisted on Washington. Mitch McConnell is out before he is in before he is out. Never has a politician tried so hard to be only a little bit pregnant. Behind the scenes these and other Senators are attacking Cruz and Lee and planning, even now, to sell out conservatives on the fight against Obamacare. According to Bob Corker — at least I assume it is Corker given the similar language to statements Corker has made publicly — Cruz has no strategy. Get the American public excited enough to pressure the GOP into forcing the issue. Filibuster for 21 hours to direct even more attention to Obamacare. See a sharp turn in polling against Obamacare. Watch the government shut down. Suggest the House of Representatives pass a bunch of funding resolutions for various parts of government. Have the House of Representatives do exactly that. Watch Harry Reid and Barack Obama implode before the press handling this. Cruz has led. In fact, he and Mike Lee have together led so well they’ve seen the House of Representatives do exactly as they have suggested. 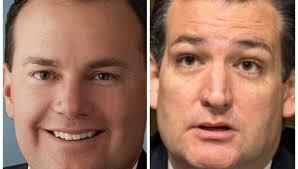 Maybe these squishes should just let Cruz and Lee lead. They’re doing better than McConnell and Cornyn. Did anyone read the “Letter to the Editor” from “z” in Thursday’s Weatherford’s Democrat newspaper?